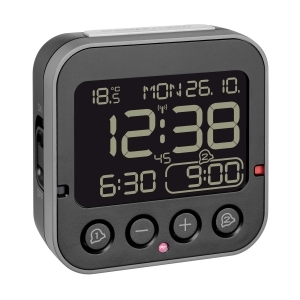 Oversleeping is now a thing of the past! 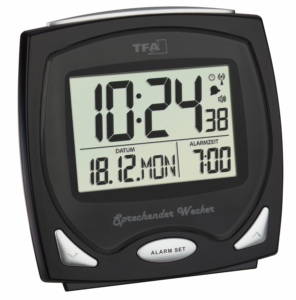 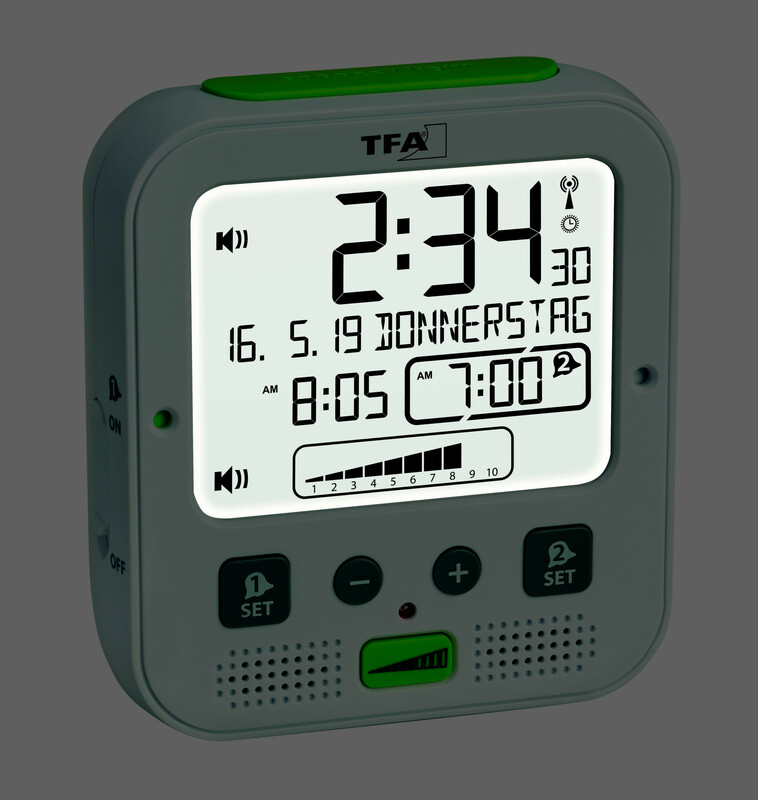 – The wireless alarm clock "BOOM" from TFA will awaken even the heavy sleepers! 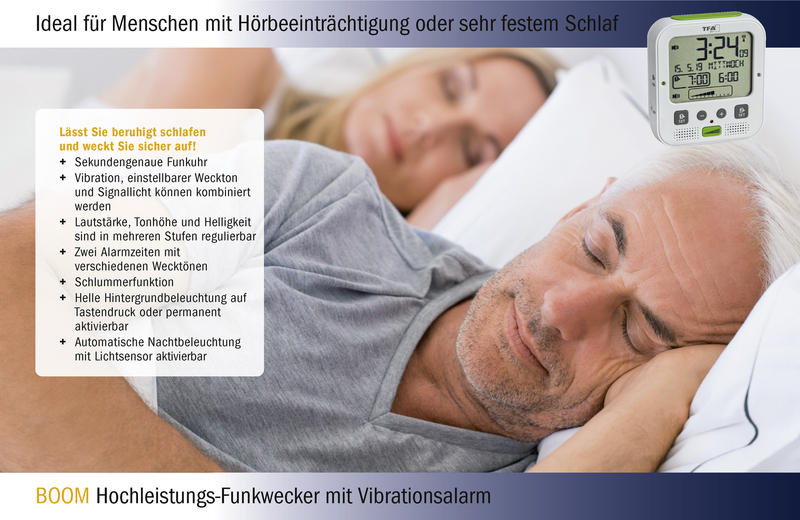 Whether you suffer from hearing impairment or are just a heavy sleeper, with features such as an extra-loud alarm, flashing lights and a separate vibration unit, BOOM is guaranteed to wake you from the deepest of sleeps. 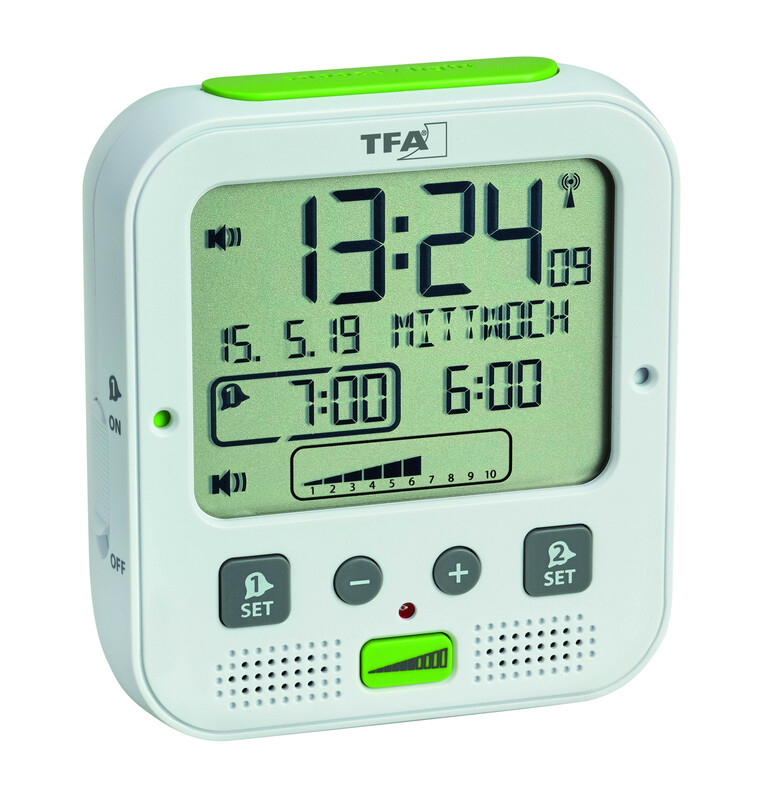 All these functions can be combined with each other and adjusted individually to your needs such as volume, high/ low tone control and brightness levels. 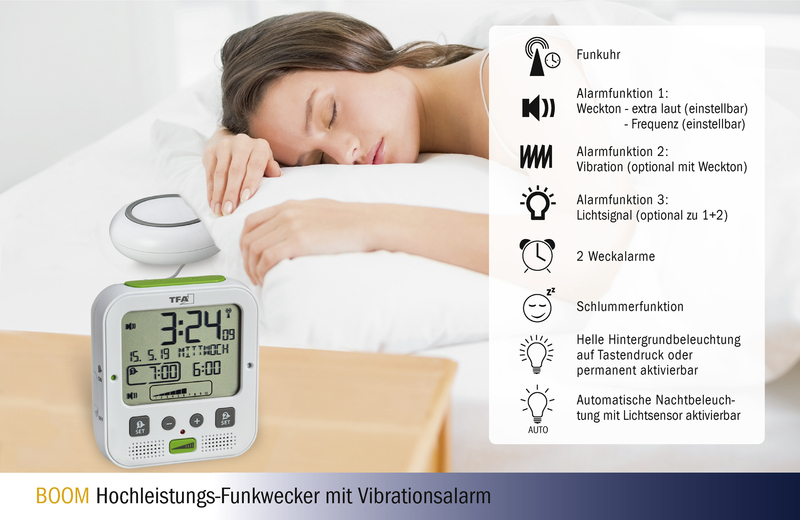 The vibration unit is connected to the alarm clock via a cable and can be pushed under the pillow or fitted sheet. 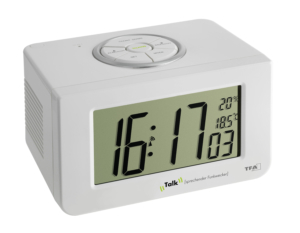 You can simultaneously activate two different alarm times with different alarm sounds. 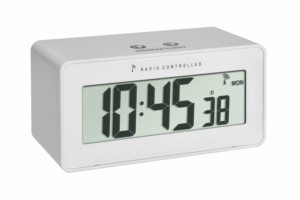 Just push the respective slide switch on the side upwards. 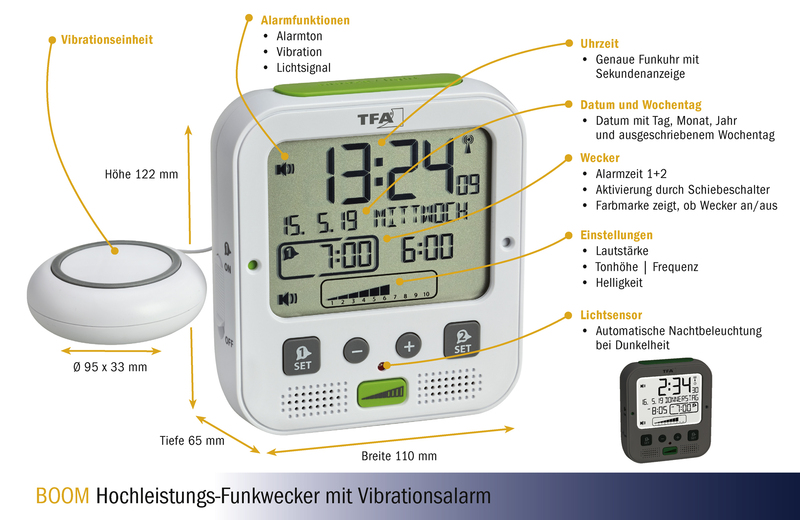 The colour mark indicates whether the alarm is on. 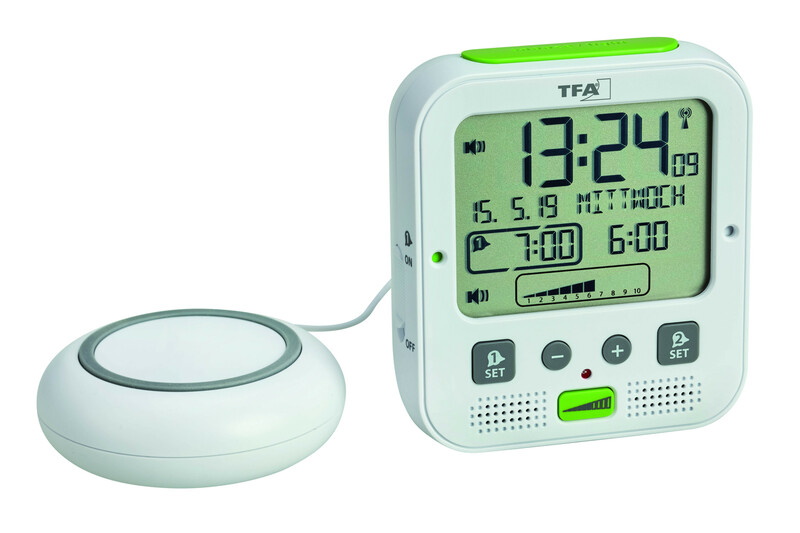 "BOOM" alarm clock makes the time management easy: the day-of-the-week is written in full and the complete date is display. 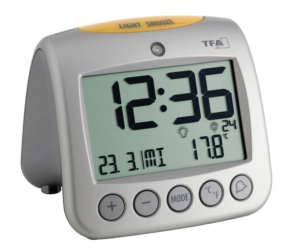 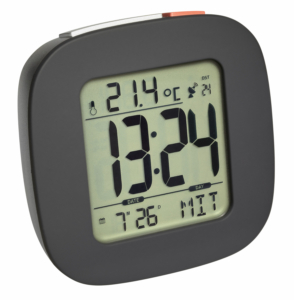 The backlight works with a pressing of a button, or set to be permanently on. 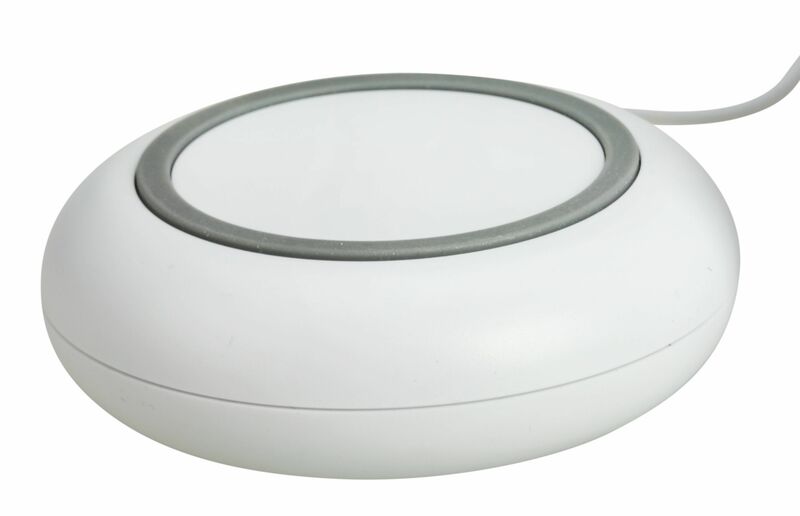 The night light switches on automatically via a light sensor.